Measuring directly is certainly an option, especially if you have easy access to some calipers, but for a lower-tech solution, just line ’em up! 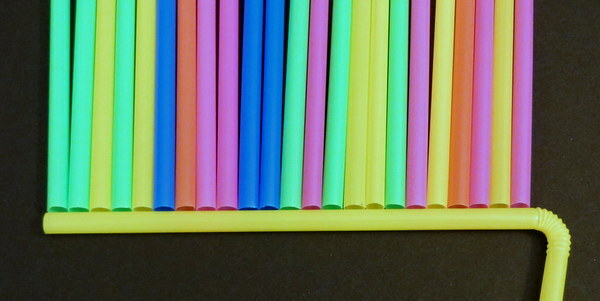 These straws below are perfect, at 23 and change. Keep in mind that there will be some manufacturing variation (these are not precision-critical parts in their intended use, after all! 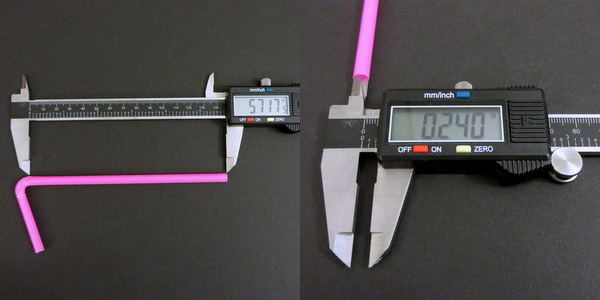 ), so don’t worry too much about getting the absolute perfect ratio, or measuring each straw overly carefully. 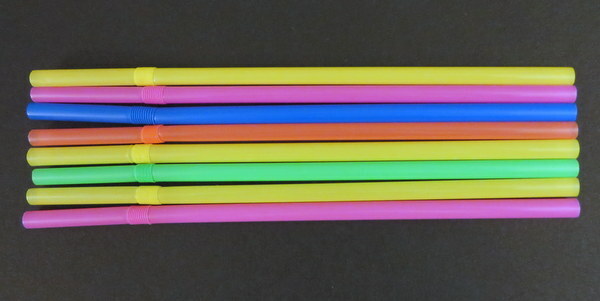 Slight variation in length: when lined up along the right end, the flexy bits are not perfectly aligned. 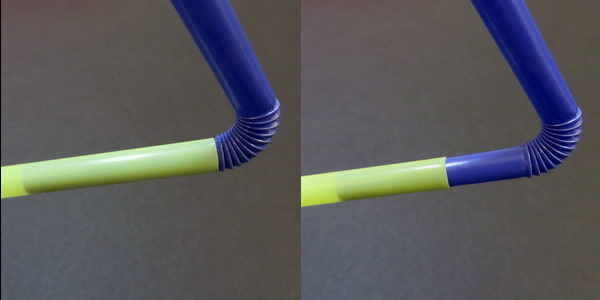 Left: with ideal length, push until flush with flexy bits. Right: compensating for short straws. But where does this “perfect” 23ish ratio come from? How might we compute it, without resorting to trial and error? We’ll talk about this tomorrow.